Accurate value of old pennies depends on accurate judgment of their condition. Grading old pennies is covered with videos, images and descriptions of specific series. Collectors and dealers always evaluate the condition of every old penny, assign a "grade," and only then place a value. You can do the same grading old pennies. 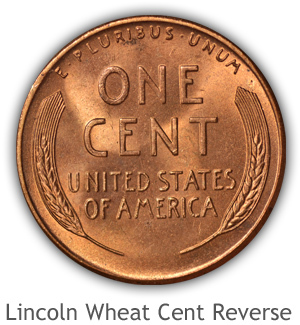 As an example, a "wheat" penny with fully separated lines at the ends of the wheat ears is above average in grade. It is these high condition Lincoln cents that now trade at premium collector values. 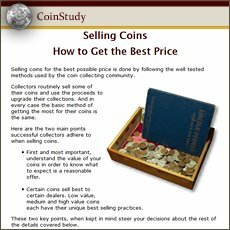 Value charts of Indian pennies list how much your coin is worth according to its condition. Depending on the amount of wear a coin exhibits a "grade" is assigned to these different levels of condition. 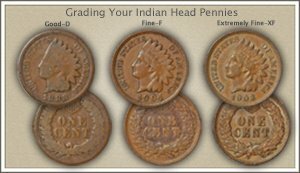 Viewing the video, Grading Indian Head Pennies, important details are highlighted helping you judge the best grade of your coin. Once these details are pointed out (some subtle) it then becomes easier to value your coins. Supporting the video are enhanced images and descriptions. 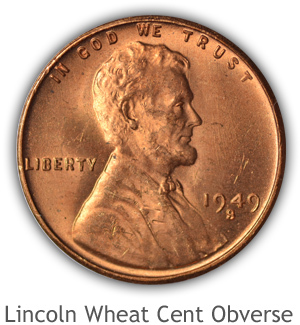 Oh so popular, "wheat" pennies are one coin where an accurate judgment of condition does find higher value examples. 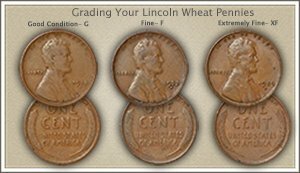 As highlighted in the video, Grading Lincoln Wheat Pennies, if you start by looking at the reverse of your coin and find complete lines at the ends of the wheat stalks, there is potential of higher value. Along with the video, enlarged images help you quickly recognize and separate these premium value old pennies. Collecting pennies is very popular. These old copper coins are a sought in all grades from uncirculated-mint state grades to worn condition. A particular help to "seeing" the different grades is an understanding of the complete un-worn design. What is missing on a worn coin, part of the grading process, is better understood with a reference to a mint state grade coin. 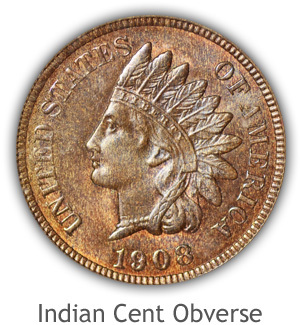 An Indian wearing a war bonnet is featured on the obverse. Well detailed hair flows over her ear. High in profile are the upper edges and ends of the feathers, these are well detailed on mint state examples. Of importance to grading Indian cents is the ribbon with "Liberty" inscribed. Upper and lower raised lines are well rounded and bold, protecting the lettering. Notice also the ribbon with central diamond designs trialing behind the ear. It is this ribbon and the curl of hair just behind that receives first wear. The reverse is filled along the rims with an oak wreath, highly detailed and very bold from the field of the coin. Protecting "One Cent" within the center the wreath is prone to wear. Each leaf is separated and distinct from each other and is higher in depth around its edges. Center lines are visible as part of the leaves and a layering effect gives a sense of dimension. Tying the bottom of the wreath a ribbon is well detailed with contours of the bow. Three arrow heads lay overtop the wreath and the feathers to the arrows show feather detail. A shield is featured at the top of the wreath with separated horizontal and vertical lines. These lines within the shield are very clear on mint state grade examples. Bust of Lincoln wearing a coat and bow tie is bold on the obverse. Boldness from the field of the portrait is very noticeable on mint state wheat cents. Lincoln's hair is full of texture both in the waves of hair and fine detail. Areas of the cheek, jaw line, chin and hair are high in profile separated with lower profile areas. The coat Lincoln is wearing shows shoulder detail lines and lines separating the collar. A small but well defined bow tie is visible. Highest part of the Lincoln's coat is the shoulder area towards the back, inspect closely for any signs of wear. Stylized wheat stalks frame the center of the reverse. These wheat stalks are finely detailed with well-rounded grains and fine lines towards the ends. Grading involves judging the condition these wheat grains and lines. The grains are high in profile and lines form outer edges, confirm a full separation of this element. Also note the bold separation of the lines at the top of the wheat. Full mint state examples display the wheat, and central lettering very bold from the field. Within each old penny series -- Date | Mintmark | Condition -- Determines Value. 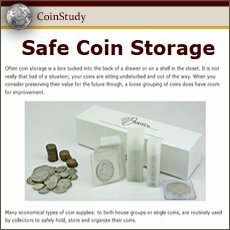 Becoming comfortable with judging the condition of your coins and importantly, recognizing the above average examples, discovers their true value. Large cents, the oversized coin in the above image, is scarce in nice condition. Judging your coin as "Fine" grade (look for separated lines in hair curls) or higher places it well within the higher quality collectible range. Every Indian penny is treasured by someone. Heavily worn examples are worth 25 cents or more and fascinating to kids. If your coin is in "Extremely Fine" grade or better many dates are important to advanced collectors. 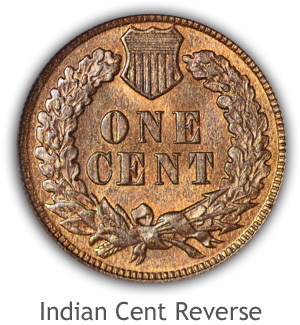 A quick check and finding all letters of "Liberty" showing in the head band is a good sign your Indian penny deserves a closer look. Subtle points often spot a very collectible coin. Lincoln Wheat Pennies are now becoming quite old, last year of issue was 1958. True they are still available today in large quantities; however the quest for quality by collectors has raised the value of many. Looking at the earlier years (1909-1920), any with full wheat ear detail is now a premium collector coin. Inspect the reverse of your wheat penny first. Fine lines separated and wheat grains recognizable are good indications of a higher grade. Many date and mintmark combinations in lightly worn or better condition are surprisingly valuable. It is not always the combination of date and mintmark raising your old pennies to the scarce and valuable level. Often it's your coin's condition, or "grade" as referred to by collectors. Avidly sought are nice quality examples (of any coin series) to add to collections. How-to-videos detail the subtle insights into grading not only old pennies but the condition of all your old coins. All old US coin values; reflecting a strong collector following. Plus, if your old pennies are in a higher grade, demand is strong also. Additionally within each series are rare date and mintmark combinations. Revisit your box of old coins, today's value charts show a steady increase.